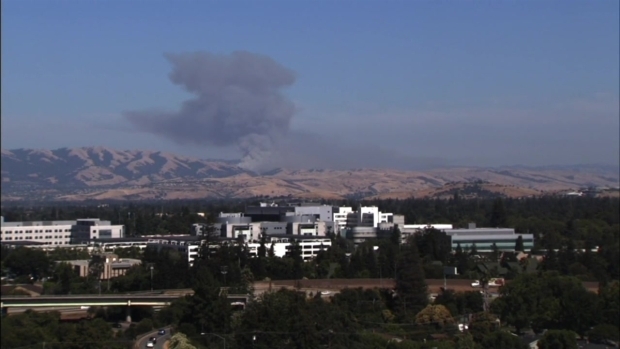 A brush fire Monday in the foothills east of South San Jose forced evacuations and road closures, fire officials said. The fire was burning in the area of Metcalf and San Felipe roads, and charred at least 40 acres as of late Monday night, Cal Fire said. People along Metcalf Road said they received a reverse 911 call telling them to get ready as the fire torched the hills in their direction. One of those residents rushed home when she received the notification. "I got in my car and came up to rescue my pets and elderly father," resident Nicole Gillette said. "There's been times during the year where we've had to hose off our front yard because we've had a fire right behind the hill up here. So it's scary of course when you've got your pets and your family." Evacuations have been ordered for residents in the area of Metcalf and San Felipe roads in South San Jose due to a brush fire. Marianne Favro reports. Firefighters said at 6 p.m. the blaze was at 40 percent containment. They said earlier the blaze had the potential to grow to about 500 acres. San Jose Fire Department officials said the blaze began as a vehicle fire that spread into the brush. Cal Fire said there was a "minor" structure threat along San Felipe Road. Joseph Bennett also was among those who got the call he may need to evacuate near Metcalf and San Felipe. "We work with a nonprofit, so we have all of our audio equipment," he said. "We wanted to make sure it didn't get damaged." More than 150 fire personnel were dispatched to the area. 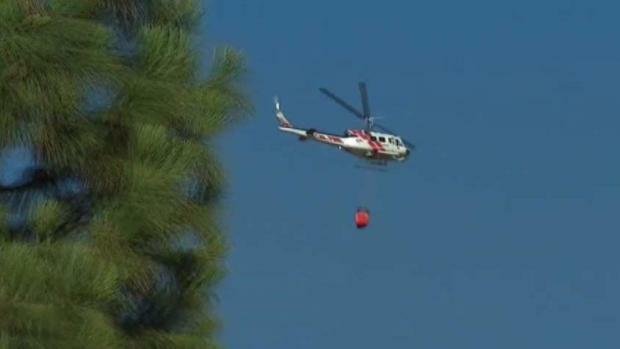 Four planes and two helicopters dropped water and flame retardant to stop the flames from progressing. Brush fire burns in South San Jose. "We're going to continue containment efforts," Cal Fire Division Chief Jim Crawford said. "We'll be here through night doing mop up and patrol." No injuries or damage to structures were reported late Monday night.